One year on from starting the Reimagining Rent programme, Kineara’s director Maria Morgan talks about our progress since leaving their first cohort of participants, and how the programme has helped us develop our Rent Support Programme (RSP+), a new and upcoming venture aiming to reduce evictions for vulnerable tenants in the private rented sector using holistic support. 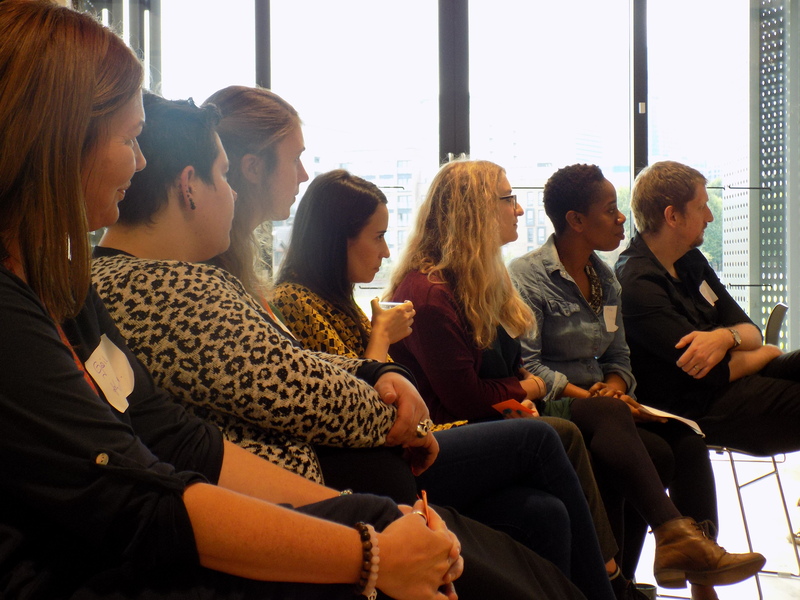 How did you find the Reimagining Rent programme? The Young Foundation (YF) found me actually, which is amazing! 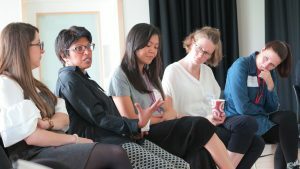 Last year, Kineara held a workshop with Azuko and Poplar Harca, where we invited professionals and practitioners across the housing sector to discuss how we could improve the journey through temporary housing. It was during the workshop that I met Radhika Bynon from YF and she told me about Reimagining Rent and encouraged me to apply. I asked when the deadline was and she said, “today!” So I went home and started the application straightaway. It’s the best thing we did because prior to that we were delivering the programme on a much smaller scale, and only really working with organisations who already knew about us, stayed with us and continued to renew their partnerships with us. It was a blessing that we made it onto the programme at such short notice, and it was exactly what we needed to elevate our work. The most exciting thing about Reimagining Rent is the common desire to make the private rented sector work better for vulnerable people, and that’s certainly what we’re all about at Kineara. How have you been reimagining Kineara and the Rent Support Programme (RSP)? The inspiration for our programmes comes from the FIP (Family Intervention Project) model: a dedicated keyworker approach with intensive, purposeful intervention. I took the ethos of the FIP model as the foundation to write Kineara’s first programme, the RSP, viewing rent arrears as a trigger issue and shortening the intervention. But we wrote RSP in 2011, before the housing crisis had become so entrenched and before the worst of the welfare reforms. So I had to ask myself: how can RSP continue to make a difference in the changing context of housing? At the same time, I’d been thinking about how to scale up Kineara’s work and expand our reach but also take the programme into the private sector for vulnerable tenants. It took time for the idea to fully form and it finally came when I was sitting in a Reimagining Rent session listening to a speaker, I think it was Susan Aktemel actually. I was listening to her and then OMG! The penny dropped. We’re now beginning to have conversations with Local Authorities about RSP+ and I don’t yet know the outcome of this work, but we’re motoring ahead and wishing for the best. I hope that RSP+ can be duplicated across councils. I’d like our original RSP to be resurrected within housing providers too, and working on scaling up all of Kineara’s work, which was one of the drivers for me joining Reimagining Rent. As an organisation, we are reshuffling the way we do things to make it more efficient. I have an amazing team full of great people. We are all in it together and Kineara is not a one man band. I’ve been so blessed to have such amazing people to go join me on this journey. It’s been exciting to see the development of the Rent Support Programme Plus (RSP+) pilot in the last few months. Can you explain more about the new model we are piloting? First of all, it is about working with Local Authorities to connect, support and engage both landlords and private tenants in their boroughs. 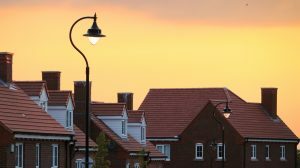 Many councils have now introduced Landlord Licensing Schemes and accreditation schemes to help improve standards, and most do offer some form of advice line for private tenant in insecure tenancies or who are threatened with homelessness. Of course, our RSP is not a silver bullet for all housing issues. But I asked myself, how can we build on the kind of support we’ve delivered with our social housing tenants in the past and extend it to the most vulnerable tenants in the PRS? As far as I could see, there were no other services providing this offer. So the first part of this pilot is to offer RSP to council’s and work with them to strengthen their relationship with private landlords, offering alternative options to issuing Section 21’s, preventing additional costs to the council in the form of re-housing, temporary accommodation and the rest, as well as, of course, preventing homelessness for households. If you live in a council property, there is a far greater obligation to work things out with the tenant when problems arise such as rent arrears. It made me reflect on why a private landlord want to pay for a service like RSP when they can issue a Section 21 and have a brand-new paying tenant come into their property. This is why our delivery model is much stronger working with Local Authorities and they can also save a lot of money by participating. The difference between RSP and RSP+ is that the original programme is delivered for social housing tenants where the housing association pays for the intervention, whereas in RSP+ the Council invests in the programme, offering landlords a route away from eviction via our service and enabling intensive support to be delivered to private sector tenants whose vulnerability often goes under Local Authorities’ radar until a households’ needs become urgent. Finally, do you have any advice for this year’s cohort? My advice to them is be open. Sometimes we can defend what we know and we miss out on learning something new – it’s a trap I have fallen into. Just let go and be open to allow your mind to think, take in new ideas and think creatively. And use the room, use the space, use the people around you. If you immerse yourself in that experience you will get so much more from it. It was the best thing that we’ve done as Kineara. It has really elevated our thinking. And I would say to everybody, enjoy it and make the most of it! The group are very varied which is amazing. They seem to be coming from different perspectives but have the same goal, which is working to make the private rented sector better for vulnerable people, including those on low incomes. It’s also a useful opportunity to reflect on where society is at. There are so many changes in the UK, and it’s important that we have a strong foundation and identity about what we are doing, but have the flexibility to meet changing needs. I would like to also say thanks to The Young Foundation for delivering such an impactful programme. Looking at the cohort that I was part of as well as the new cohort of participants, the ideas people are developing are pretty incredible and being introduced to investors who are willing and keen to support projects with a social purpose is awesome. All the best to the new cohorts! You can read the blog in full on the Young Foundation’s website. Through our range of programmes we support individuals, families and communities to lead happier, healthier lives.